Welcome to the inaugural issue of ACM's Publications Newsletter, The Blue Diamond. This is an exciting time for ACM Publications, with the expansion of ACM's Publications Program into new areas of research and practice, the upcoming launch of ACM's brand-new Digital Library in early 2019, recent significant changes to ACM's Publications Policies, and a growing list of Open Access initiatives and experiments aimed at increasing global access to ACM's Publications via the ACM Digital Library. This newsletter is being launched to keep our ACM community of dedicated authors, editors, reviewers, volunteers and library consortia members informed about all of these changes, but also to open a new communication channel between ACM and the broader computing community. Nearly everything we do at ACM relies heavily on our volunteers, from those who donate their time and expertise serving on our various journal editorial boards and conference program committees to our over 40,000 contributing authors to the reviewers who ensure that our publications continue to maintain the highest standards of quality and relevance across ACM's entire portfolio of journals, conference proceedings, technical magazines, newsletters, and ACM Books. If you are an active ACM volunteer involved in any of the above initiatives, we sincerely thank you for your service. If you have not been an active volunteer, but would like to serve, please reach out to me and let me know in what capacity you would like to serve so the Publications Department can connect you to the editorial leadership of the appropriate publication. The newsletter will be published 3x per year, with each issue following each of the three in-person meetings of the ACM Publications Board, to ensure that we are updating the community on new initiatives as quickly as possible. We will also be setting up a dedicated webpage to archive both the newsletter issues and to provide updates on "all things Publications" in real time. I hope you enjoy this issue and if you have any questions, please don't hesitate to contact me! This year the ACM Digital Library is celebrating its 20th birthday. The ACM Digital Library (ACM DL) is a library of publications serving the needs of approximately 5 million users worldwide. Making critical content discoverable and accessible has been the primary goal of the ACM DL since its conception. High-quality ideas, concepts and views across the breadth of the computing space have been published by ACM for over 70 years. Expanding the scope of the ACM DL beyond what ACM publishes to include fully integrated bibliographic data of all the computing literature has proven to be an extremely important part of that primary goal. While the ability to find and access information remains critical, it has become simply an expectation rather than a service. What was once thought of as a "library"–although this term may already be somewhat foreign to current users–will move to a space in which independent, distributed, concurrent and parallel interaction becomes a possibility. The set of services layered within this space will provide for interaction rather than simply access, with people, datasets, software, simulations, publications, and other assets all in the mix. The users of the space thus become a natural part of the rich resources, transforming the ACM DL into a destination where presentation and collaboration allow for relationships to form. ACM has always been led by a very dedicated set of visionary volunteers representing the computing community. Interacting with them is an extremely rewarding aspect of my role as the Director of Information Systems. Taking these next steps with the community is directly in line with their vision of the ACM DL as well as for ACM itself. Based on user feedback, workshops, focus groups as well as publishing and technical leadership, we've developed a roadmap that describes a set of projects to address immediate and future actions for core functionality, content expansion, content organization/exposure, personalization and analytics. Our first step in achieving this near- and long-term vision was to consider the scalability and expansion of the existing ACM DL platform. After much consideration, we decided to move to a commercially-supported solution: Atypon's Literatum platform. The move will allow us to reallocate time previously spent on product maintenance to new product development in partnership with Atypon's dedicated team. We are currently in the migration phase of our roadmap, reengineering the in-house developed ACM DL into the Atypon Literatum platform. This is proving to be a challenging effort consisting of UI/UX revamp, platform configuration/extension, custom development and content conversion and enhancement. The new version, ACM DL next, will move us forward in our vision and also provide a solid foundation for taking this vision to fruition and beyond. We have started collecting feedback on a set of sample ACM DL pages to gauge an initial reaction and help us advance the project. Keep in mind that the final design will be responsive and each breakpoint has many of its own considerations. Some of the samples you will see depict the "desktop" design and others depict the "mobile" view. While additional breakpoints will be accounted for, this exercise only includes these two extremes. Please take a look at the new page designs, https://dl.acm.org/next, and forward your feedback to me. We'll post details about the migration as we move forward @ACMDL: https://twitter.com/ACMDL. ACM has been taking steps to expand our accessibility initiative to our publications program. We are committed to providing accessibility for all and are in the process of retooling the production process to achieve our goal of having our publications portfolio available in flexible formats with accessible features. Working with volunteers from both the SIG and journal communities, ACM has developed a new, easy-to-use Word authoring template and workflow which will allow authors to concentrate on their content rather than focus on print output formatting, as well as reduce the time needed to prepare the text for submission. Authors who are submitting papers for review should not be bogged down with formatting concerns, but rather focus on the content aspects of their article. With its integrated instructions, the single-column Submission Template is an easy-to-use, author-friendly template for creating submissions. Authors that are accepted for publication are then asked to build on the work they did in their submission document. Using Microsoft Word functionality, the Enhanced Template is used to capture metadata for visual elements (e.g., "alt-text") and other metadata we use to enhance the output formats. This is the last step–authors will submit their validated paper to ACM's publishing system (i.e., TAPS). The publishing system integrates with core ACM Manuscript Submission Systems and the ACM eRights system to produce and distribute the traditional PDF output and ACM's new responsive HTML5 design. The output formats provide enhanced accessibility, responsive formatting, and reusable components (e.g., extractable math) within the HTML output. We will store the articles in standard JATS/BITS format, which gives ACM flexibility to produce additional output formats in the future. We are in the final steps of this process, tweaking the templates so that they are more user-friendly and the corresponding documentation more efficient. The author templates are being tested by ACM journals and proceedings authors and volunteers to verify that the templates and TAPS are functioning properly and the overall user experience improved. We have made major strides toward creating a device-friendly and responsive design experience for all, as well as a standardized XML infrastructure for future proofing. We look forward to launching the new templates and publishing system by the end of this year! For additional information about ACM's author templates and production process, please visit https://www.acm.org/publications/proceedings-template, or contact us at production@hq.acm.org. Over the past 10 years, ACM has been engaged in a variety of initiatives aimed at increasing access to ACM publications. As you will see from the list of initiatives on ACM's Open Access web page, our approach to Open Access is varied and experimental. Since there is no single right way to address this challenge, it will likely be a combination of approaches that moves ACM in the right direction relating to Open Access. These include providing unique tools like Author-Izer; providing ACM authors with a Hybrid Open Access option to make their work openly accessible via the ACM DL; and providing ACM conference organizers and authors with the OpenTOC and Open Surround programs. In addition to these and other Open Access initiatives, ACM is transitioning a small group of four to six of our established journals to a pure Gold Open Access model for a four-year period in order to learn more about author behavior and the impact of Open Access publication on usage and citations. At the same time, as we launch new journals, some of them will use the Gold model, while others will continue to follow the traditional subscription path. ACM is also actively working with the major funding agencies in the US (and starting to work with international funders) via a nonprofit organization we helped establish five years ago called CHORUS to help ACM authors comply with funder-driven Open Access publication mandates. In future issues of this newsletter, I'll provide more detail about each of our current initiatives and our thinking behind them. If you have any questions, please don't hesitate to reach out and send me an email. ACM encourages authors to submit software and datasets along with their papers. For years, ACM has provided mechanisms for authors to submit software, datasets, videos and other supplemental artifacts with their research papers. We have recently made these artifacts more discoverable through search and made them more prominent on abstract pages and Tables of Contents. ACM's Reproducibility Task Force has worked with SIG conference organizers and journal EICs to understand and articulate common best practices in preparing and reviewing software and data artifacts; how they can be integrated with the ACM Digital Library; and how to reflect them in publication and enable their reuse. 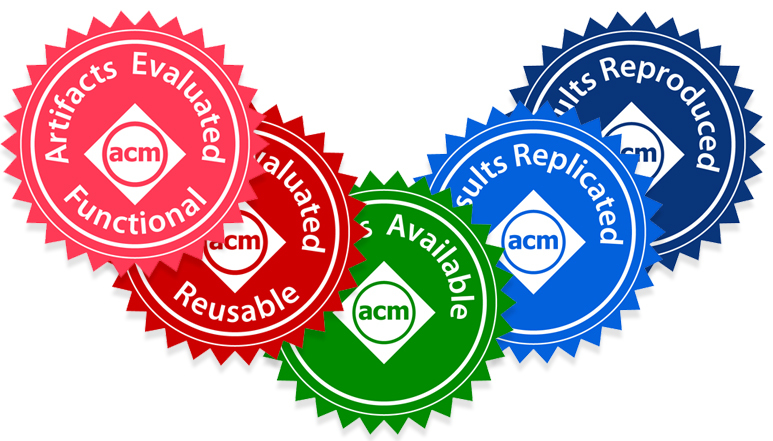 Many of ACM's technical communities are evolving standardized documentation and review processes to improve the chances for successful experiment replication and artifact reuse. A number of ACM conferences and journals have instituted formal processes and are implementing best practices for artifact review. ACM provides standard terms and definitions for labeling successful artifact reviews, and iconic badging for their associated articles, thereby establishing uniformity across ACM publications and any other publisher choosing to adopt its best practices. To learn more about submitting software and datasets with your papers and about ACM's new artifact review, labeling and badging functions, visit https://www.acm.org/publications/artifacts. ACM Digital Government: Research and Practice (DGOV) is an interdisciplinary journal on the potential and impact of technology on governance innovations and its transformation of public institutions. It promotes applied and empirical research from academics, practitioners, designers, and technologists, using political, policy, social, computer, and data sciences methodologies. For more information, please contact dgov-editors@acm.org. In 2013, ACM officially announced the launch of a new series of computing books called ACM Books, with Tamer Özsu from the University of Waterloo appointed as the series' founding Editor-in-Chief. The scope of the series includes books from across the entire spectrum of computer science, appealing to computing practitioners, researchers, educators, and students. Books devoted to the history and social impact of computing. ACM Books are attractively published as ebooks and print volumes at affordable prices, and are widely distributed in both print and digital formats through booksellers, libraries (and library consortia), and to individual ACM members via the ACM Digital Library platform. Authors receive a competitive royalty on the sales of their books and are provided robust editorial support through the authoring process. When ACM decided to launch the new series, we made the decision to do this by partnering with a well established and highly-respected computing book publisher based in San Francisco called Morgan & Claypool Publishers (M&C). Partnering with M&C enabled ACM Books to launch quickly with an established "book publishing" infrastructure, including editorial, sales, and marketing in a collaborative and non-competitive way that quite simply would not have been possible by partnering with one of the large commercial for-profit science book publishers. This relationship has worked well for the first 25 books published in Collection 1 of the series, but as it has become more established in the CS community and we have hired staff at ACM capable of managing the ACM Books publication process (editorial, production, marketing, and sales), we are changing the relationship with M&C for Collection 2. Going forward, M&C will serve as a trusted distributor for ACM Books in the retail and adoption markets, where they have very strong and long standing relationships. ACM will work closely with the author community, manage the production process, and sell the "Collections" into the academic consortium, government, and corporate markets in addition to individual ACM members interested in subscribing to the series, as we have done since its 2013 launch. Tamer Özsu was appointed by the ACM Publications Board to serve a three-year term as EIC of the ACM Books Series. Due to the success of the series, the Board appointed Tamer to serve a second and final three-year term, which is up in mid-2019. 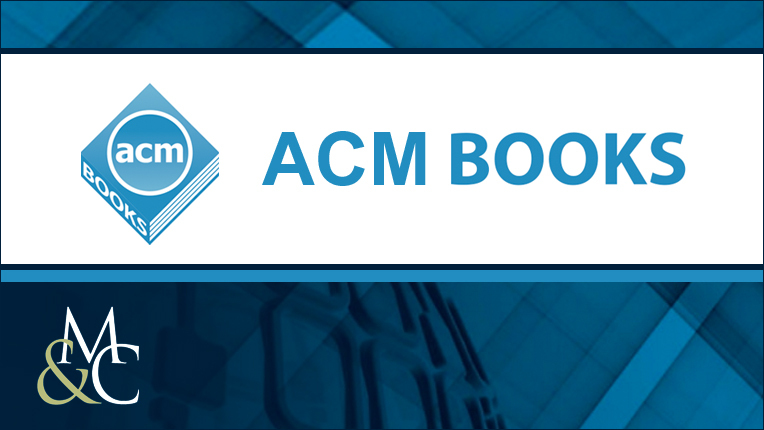 As a result, ACM has begun a formal search for the next ACM Books Editor-in-Chief. If you know of someone who might be appropriate and interested to serve as the next EIC of ACM Books, please reach out to me at scott.delman@acm.org or contact Ron Perrott, Chair of the ACM Books EIC Search Committee, at r.perrott@gmail.com. Proceedings of the ACM (PACM) is a journal series that launched in 2017. PACM is intended to allow the best conferences published by ACM to achieve a level of external recognition commensurate with their quality, including consideration by organizations responsible for maintaining citation indices. PACM was created in recognition of the fact that conference-centric publishing disadvantages the CS community with respect to other scientific disciplines when competing with researchers from other disciplines for top science awards and career progression. Proceedings of the ACM on Programming Languages (PACMPL) is a Gold Open Access journal publishing research on all aspects of programming languages, from design to implementation and from mathematical formalisms to empirical studies. Each issue of the journal is devoted to a particular subject area within programming languages, announced through Calls for Papers. 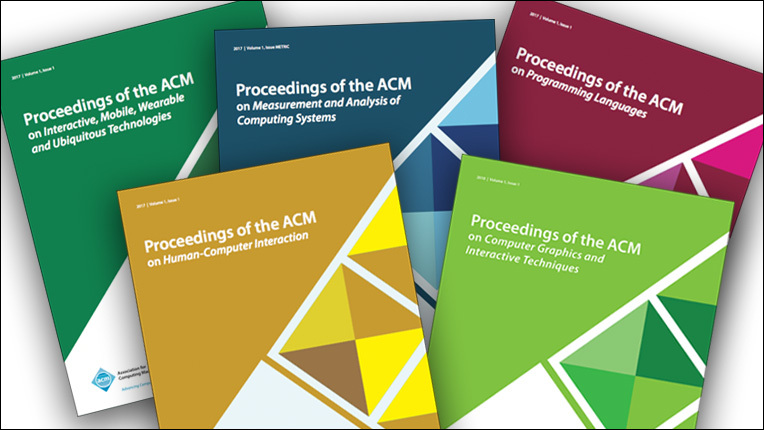 Proceedings of the ACM on Human Computer Interaction (PACMHCI) is a journal for research relevant to multiple aspects of the intersection between human factors and computing systems. PACMHCI covers a broad range of topics and methods that help illuminate the intersection between humans and computing systems. Proceedings of the ACM on Computer Graphics and Interactive Techniques (PACM CGIT) publishes original research of the highest quality dealing with all areas of computer graphics and interactive techniques including rendering, modeling, animation, and digital image processing as well as the visual computing and simulation elements of such disparate areas as computational fabrication, computational photography, physical modeling and control, user interfaces, video game techniques, and virtual and augmented reality. For more information about the PACM series, visit https://www.acm.org/publications/pacm/introducing-pacm.